Philadelphia is a compact ‘walking’ city – which means it’s also great for running. The city hosts annual events, from 5Ks to marathons, that are a fun way to see the city. And Philly has plenty of great food for pre- and post race fueling. 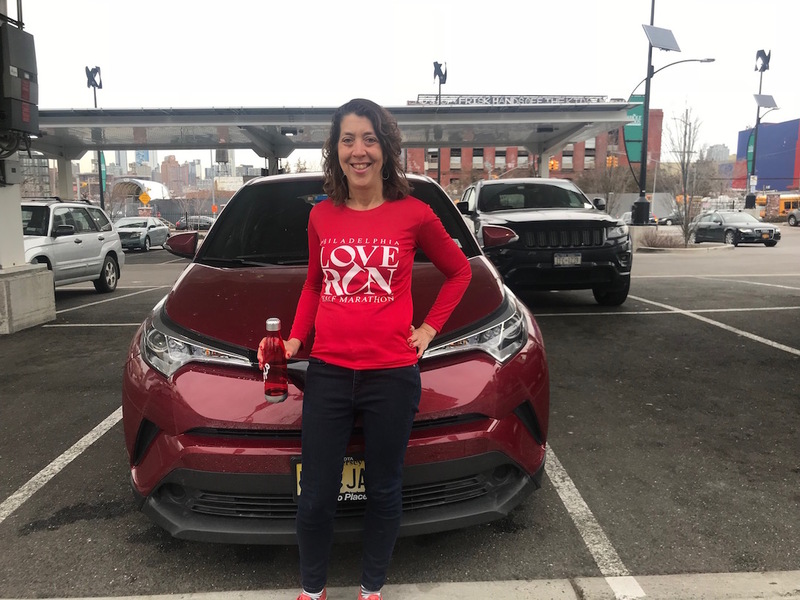 Vegetarian TravelingMom Judy Antell ran the Philadelphia Love Run half marathon, and found plenty more to love. The stars aligned for my first destination run. My sister wanted me to run the Philadelphia Love Run half marathon with her. This was the same weekend my daughter would be in Philly for admitted student day at Penn Law school. And it was her birthday. 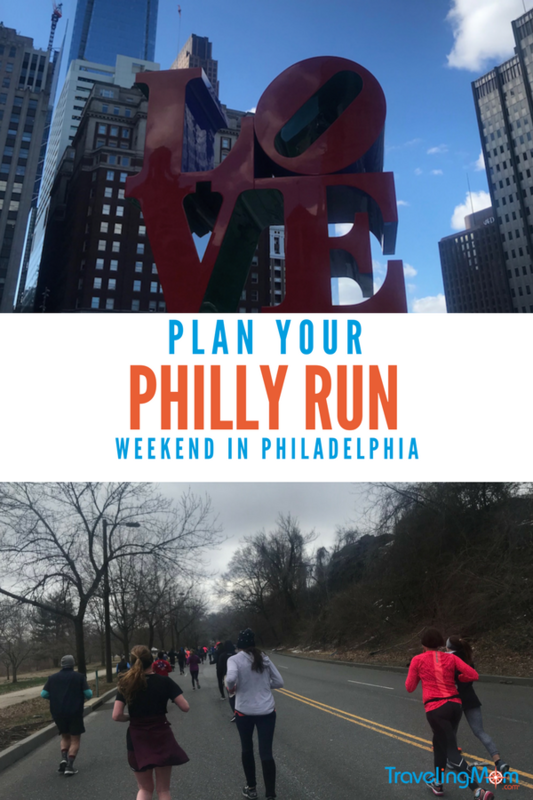 I signed up for the Philly love run and a weekend in Philadelphia. Which came first: the movie or the Philly Runs? 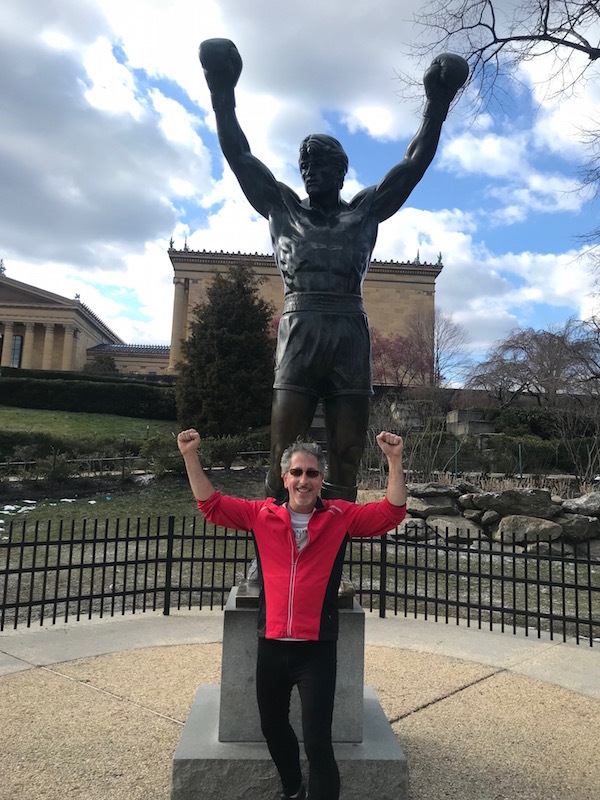 If you’ve seen the movie Rocky, you know the iconic scene when Rocky bounds up the steps of the Philadelphia Museum of Art. This is where many Philly runs start, and even if you are not running the Philadelphia Love Run or another organized race, you will want to run, jog, or walk up these steps, and snap a photo at the base of the stairs with the Rocky statue. 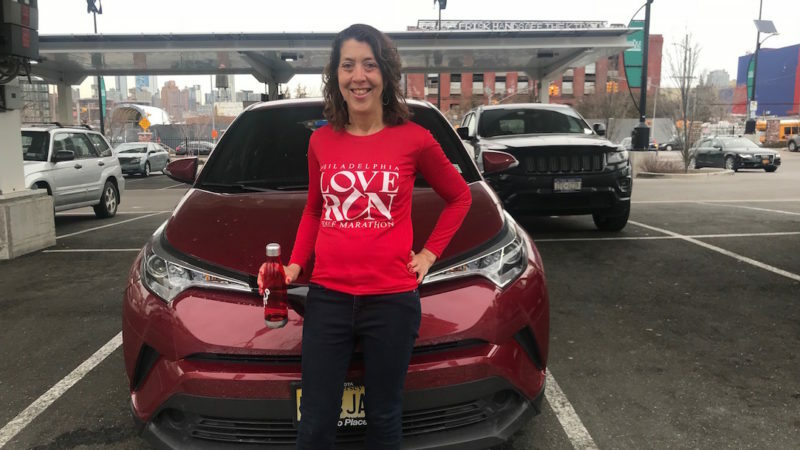 The Philadelphia Love Run has both a half marathon and a 5K (3.1 miles). It is held in March. The food at the end includes a soft pretzel and beer. The Philadelphia Hot Chocolate Run, held in early April, has a 5K and a 15K option. And to fuel your run, there are marshmallows, chocolate chips and M & Ms along the way. At the end, you get a bowl of dark hot chocolate, with a banana to dip in. 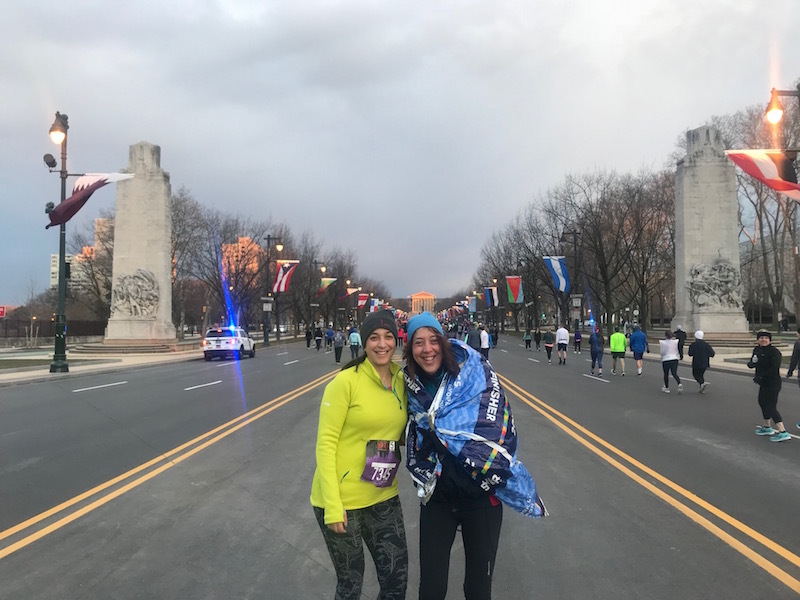 This 10 mile run, held in May, is one of the only Philly runs with a different start (and finish). It starts near Central High School Athletic Field. The run ends at the Philadelphia Navy Yard. Held in November, this race has a 5K and a 10 mile option. And if you are in half marathon shape, you can run both for the Italian Stallion challenge. Like the NYC marathon, the Philadelphia Marathon is held on a Sunday in November. But this race has added components. On the day before the marathon, there is a half marathon and an 8K. The Freedom Challenge involves running all three. There is so much to do in Philadelphia that I ‘accidentally’ walked 12 miles the day before the race. The year-old Museum of the American Revolution has videos, artifacts and interactive exhibits that bring the revolution to life. It’s best for late elementary through middle school students. The National Museum of American Jewish History has special exhibits about prominent Jews. 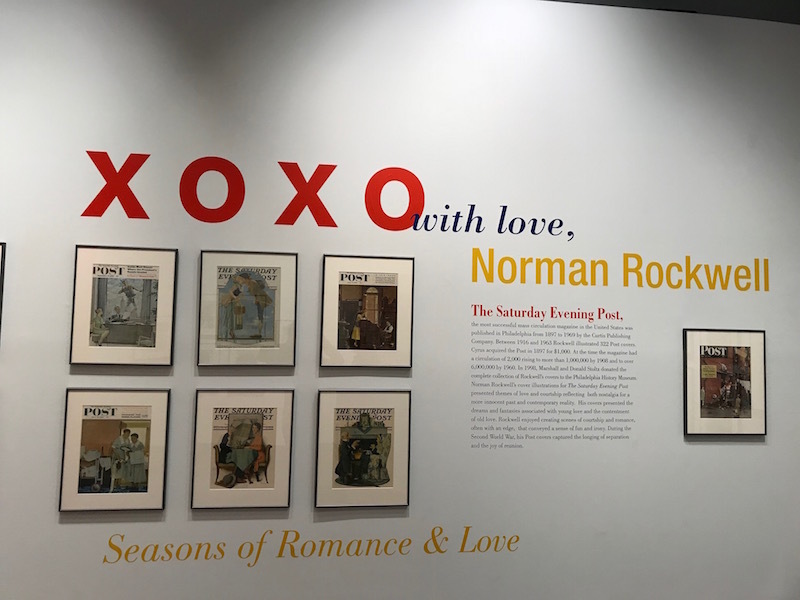 We had seen the permanent collection, so we visited “Leonard Bernstein: The Power of Music.” This exhibit will appeal to visitors of any religious background. At the Philadelphia History Museum, there is a huge map of the city on the floor. We walked the race route and saw an exhibit on Normal Rockwell. The Mütter Museum focuses on disease and the human body. Since runners discuss their physical ailments with everyone, this is a perfect place to tour. Note that the museum gets extremely crowded on weekend, and does not allow photography. We had to choose our Philadelphia eating selections wisely. As the owner of a delicate stomach, I had to carefully select high protein food that wouldn’t bother me on my run. Dairy can set me off, so we ate at V Street, vegan global food. It was also my daughter’s birthday, and the high energy place was celebratory. Everything was designed for sharing: Korean fried tempeh tacos, roasted carrots with smoked black beans, and carb-heavy miso noodles. 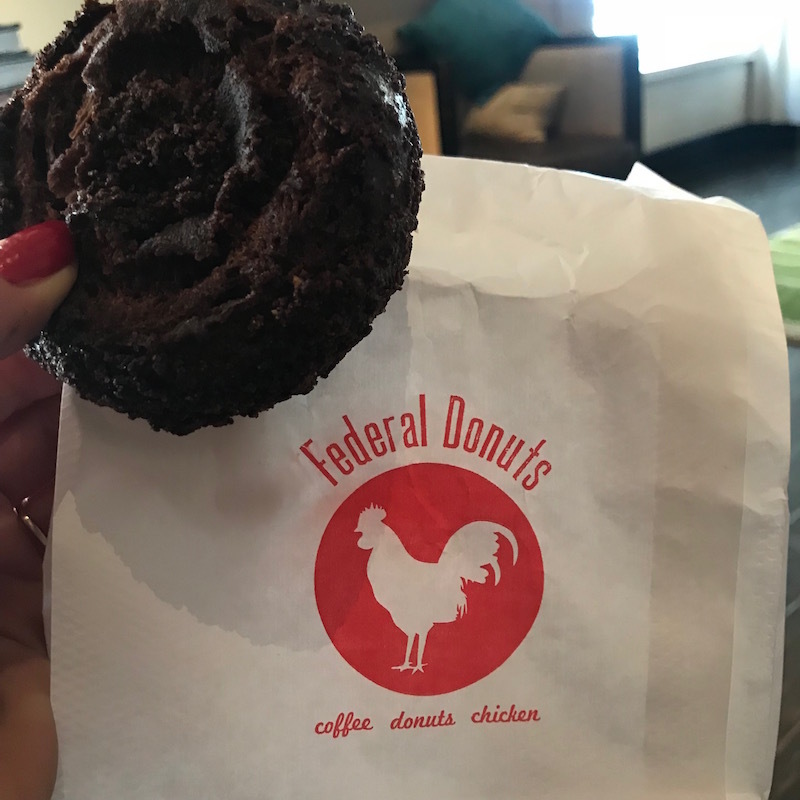 For dessert, we got more carbs: donuts from Federal Donuts. This was also a nice birthday treat. After the Love Run, we ate next door to V Street at Wiz Kid Food. The all-vegan place has a plant based riff on a Philly cheese steak. It seemed decadent, but we felt virtuous after. 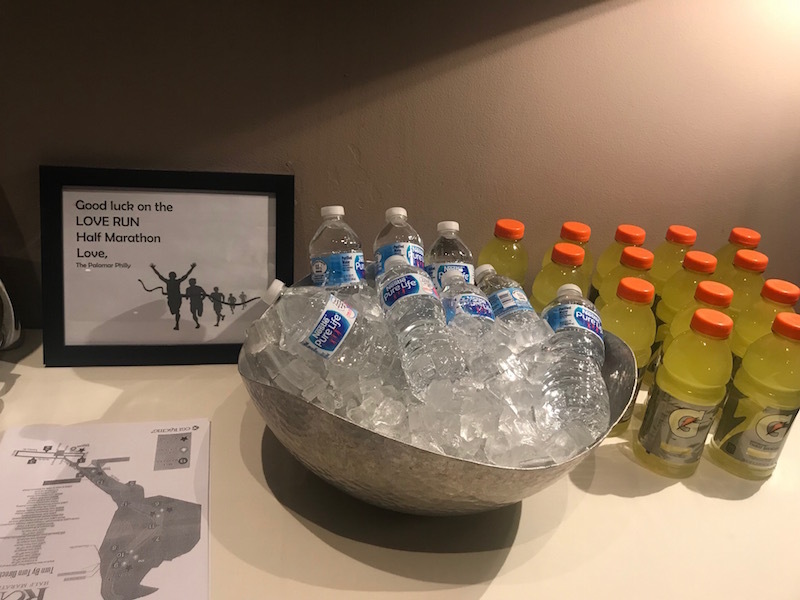 You never know how a hotel staff will react to a group of runners. 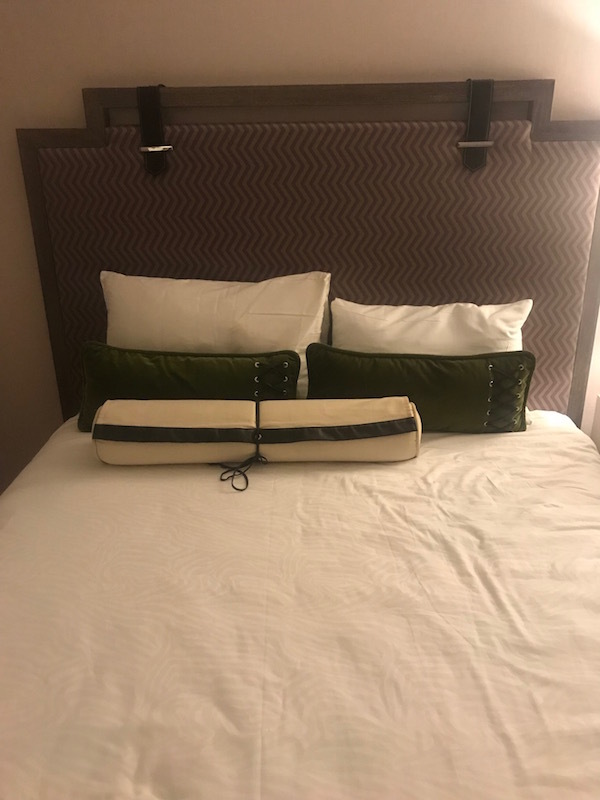 The Hotel Palomar was quite accommodating. The morning of the run, in addition to the usual coffee in the lobby, there was Gatorade and bottled water. There was also a bowl of fruit, including bananas. And late check out was happily extended to anyone who wanted to get in a shower and lunch before hitting the road. Since I was running, I didn’t have the wine at the nightly social hour. But I did get an appetizer of hummus with za’atar and pita chips from the onsite restaurant, Square 1682. Creature Comforts: The C-HR has very comfortable seats, which I appreciated after running. It was easy to shift the seat around and find the perfect position for driving. Heated seats are a nice bonus, and dual climate control so you don’t fight over the temperature. Back Seat: those cool looking high doors mean the rear windows are pretty small. 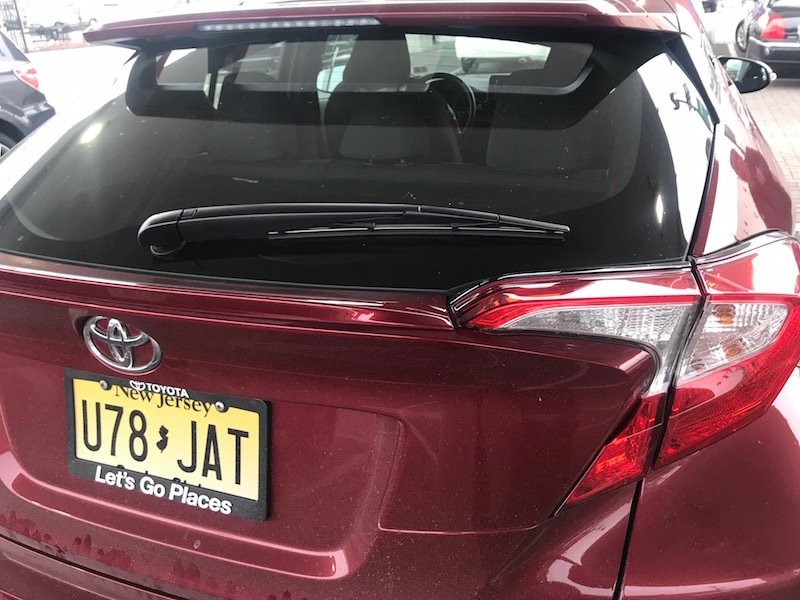 When I drove the car in Florida, it had a panoramic sunroof and I didn’t notice. But without the sunroof, the rear seat can feel claustrophobic. Safety Package: This is where the Toyota really shines. The car has Toyota Safety Sense P, a standard feature which includes a pre-collision system that automatically brakes if a crash is imminent. There is also dynamic radar cruise control, pedestrian detection, automatic high beams, and lane departure alert with steering assist. 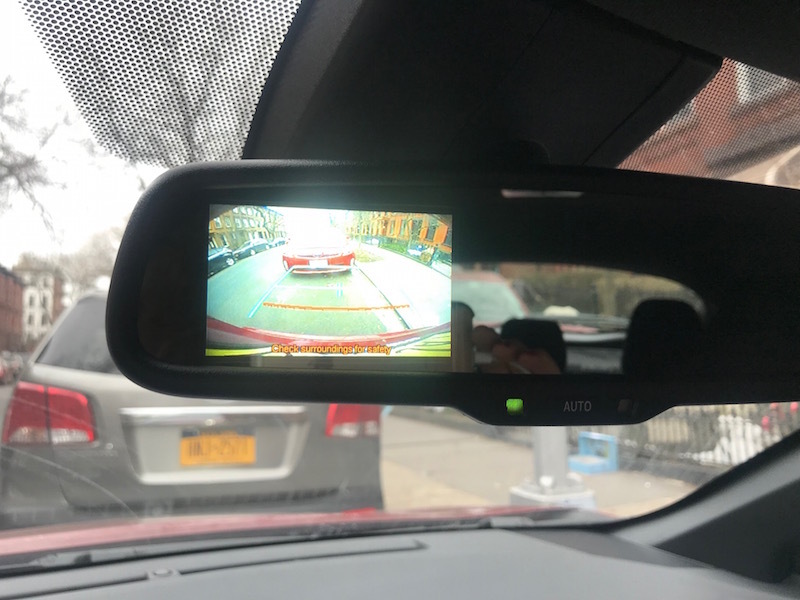 The back up camera is built into the rear view mirror, which is incredibly sensible. 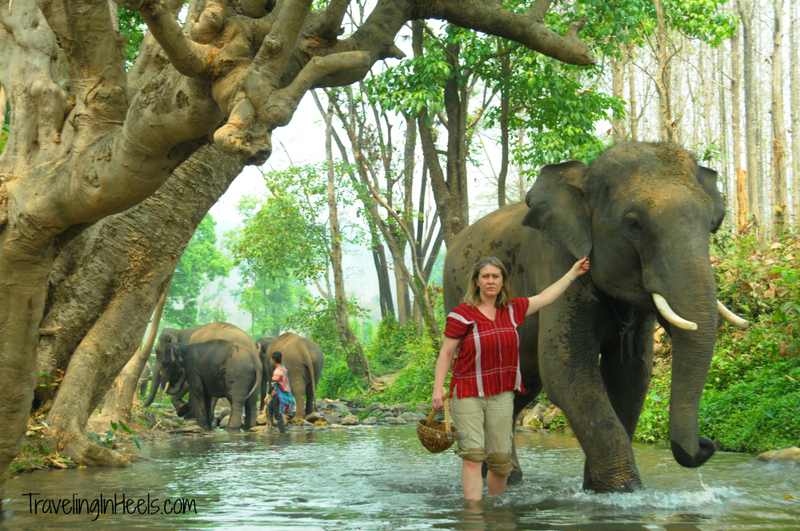 Trunk Space: We didn’t travel light, but that was fine. I had a whole suitcase dedicated to cold weather running. Before the run, we were lined up for close to an hour, so I had a coat, sweatpants, sweatshirt, heavy shirt, hat and gloves, all of which I donated. But we easily fit four big bags in the trunk. If you need more room, and aren’t using the rear seats, they fold down. Note: Toyota loaned me the C-HR for our trip, and the Hotel Palomar provided a complimentary room. Opinions and sore muscles were all my own.